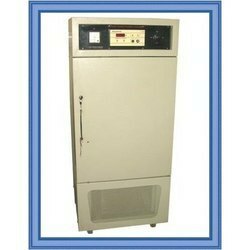 We are offering Mobile Chilling Systems like Mobile Water Chillers and Mobile Air Conditioning Plant where Portability of Chilling Systems is required. Several Applications like Marines, Shipping, Dockyard, Air Ports, Air Hangers, Ports, Space, Research & Development etc required this Mobile Systems. By keeping track of the emerging market needs, we are engaged in manufacturing and supplying an optimum quality range of Mobile Air Chillers. We design & engineer Mobile Air Conditioning Plant for special applications like Marine, Shipping, Space, Air Ports and many more. Mobile AC Plants are designed with Air Cooled Direct Cooling type and consists of Mobile Trailer with Canopy, Air Cooled Refrigeration System, AHU and Control System. 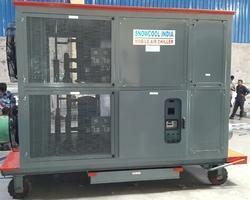 We manufacture Mobile AC Plants from 5TR to 200TR Capacity. We do provide Flexible Air Ducts for Chilled Air Supply and Return Air. 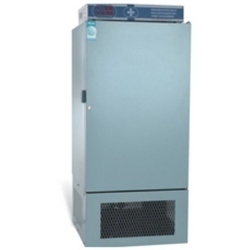 We are a renowned organization engaged in providing a wide array of Air Cooled Mobile Water Chillers. 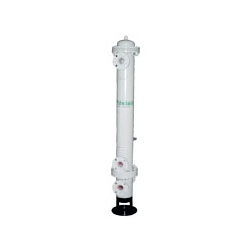 Our products are highly reliable and can be customized as per the specifications mentioned by the valuable patrons. These products are manufactured using the latest machines and technology due to which these are highly demanded among the clients. 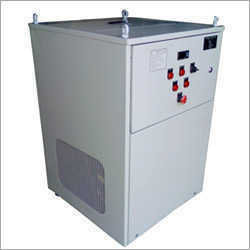 Clients can avail from us a wide range of Sea Water Cooled Mobile Water Chillers. Our products are manufactured using the optimum quality raw material, which is sourced from the most reliable vendors of the market. These products are available at the most economic prices and can be customized as per the specifications mentioned by the esteemed patrons. With our expertise in this domain, we are engaged in offering an extensive range of Mobile Conditioning Chamber. Our products are fabricated at par with the national as well as international standards of quality. These products are available at market leading prices and can also be customized as per the specific demands of clients. 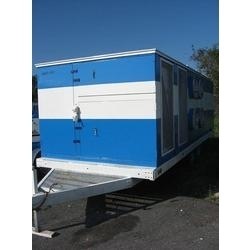 We specialize in providing an extensive range of Mobile Environmental Test Chambers. Our products are highly durable as these are manufactured in compliance with the international standards of quality. These products are stringently tested on several parameters by the quality inspectors to ensure their flawlessness before delivering at clients' end. Looking for Mobile Chilling Systems ?